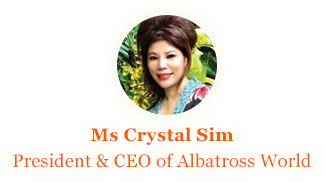 Albatross World Travel & Tours Pte Ltd was formed in 2001 as a subsidiary of Bintan Resort Ferries Pte Ltd, which itself is a subsidiary of Gallant Venture, a Singapore listed company, managing the leisure resort in Bintan Island. BRF Holidays started as a travel agency essentially to bring in travelers to Bintan in support of the then parent company’s objective of promoting and ferrying travelers to Bintan and have since been awarded Top Five Performance Award (Travel Agent Category) for 2009 & 2010 by Bintan Resort Ferries Pte Ltd. In March 2011, ownership changed hands and it was renamed Albatross World Travel & Tours Pte Ltd. Albatross World is a registered licensed Travel Agent (TA 1193) with Singapore Tourism Board and is presently accredited with International Association of Travel Agents (IATA), Pacific Asia Travel Association (PATA), National Association of Travel Agents Singapore (NATAS) awarded Case Trust by the Consumer Association of Singapore and has been listed in the Singapore Brands. Albatross World Travel & Tours Pte Ltd’s mission is to be the foremost provider of specialist adventure tours like trekking, certain religious tours and niche market quality tours and organizer of sporting events. Albatross World intends to position itself to be the preferred Travel Hub for adventurous travelers and seasoned travelers who expects more exotic and memorable lasting experience. Albatross World will also move actively to provide other travel agencies (B2B), services that will enhance their competitive edge and increase their sales. Albatross World aims to soar to greater heights like the Albatross bird. Since 2001, Albatross World has been providing travelers from all over the world the gateway to their destination. Our mission “Your Destination, Our Highest Mission”. Like the Albatross bird with its keen eyesight, we are constantly seeking new grounds and opportunities to broaden our clients’ travel experience. A reliable tour operator and organizer of Bintan Triathlon 2011 as well as Tour de Bintan 2011(11-13 Nov 2011), our quality and professional tour service team has served many clients and has received good feedback and testimonials. 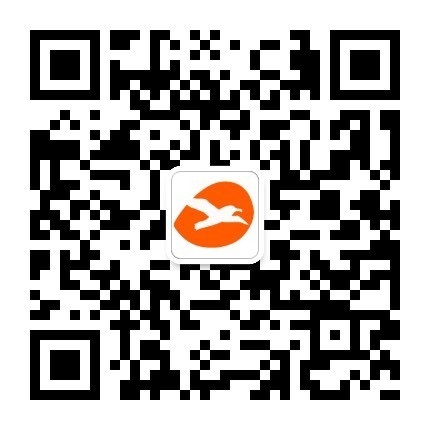 Catering to mid and high-end travelers, we are able to undertake different tasks successfully. New tour destinations like Latvia, Russia, Mauritius, Maldives, Taiwan, PR China, Australia and New Zealand. We also specialize in travel design for holiday makers numbering from 10 to 20, where we tailor the whole trip according to our clients’ interests, likes and expectations to give total satisfaction. With detailed planning and preparations for tour services ranging from golf vacations, wine tour to Australia, Chile, Italy and France, spa holidays to exotic destinations and home stay, we ensure an enjoyable travel experience for our clients. Constantly in quest of something new for the travel consumer, we welcome new partners in the travel industry to work with us. The Albatross bird is one of the largest flying birds with a wingspan of up to 12 feet (3.7m). The albatross bird can live a long life of up to 50 years. Albatrosses are highly efficient in the air, covering great distances, ranging over huge areas of ocean and regularly circle the globe. Albatrosses are capable of measuring the exact airspeed in flight, using dynamic and slope soaring to cover great distances with little exertion. They can fly about 1000km a day, without flapping its wings once. * Information courtesy of Wikipedia. Do you know that “Albatross” is another term for double eagle in golf?